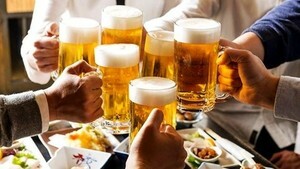 The public holidays on the occasion of Reunification Day and May Day followed by this weekend help people have more time to relax in tourist hot pots or in entertainment centers, causing public transport and entertainment centers to be overloaded in the city. Thousands of people made long queues for bus and train, airplane tickets on April 29-30 to come back hometown and tourist spots. At the Eastern Bus Station, a long line of passengers waited for ticket to Vung Tau, Dat Lat and Phan Thiet. 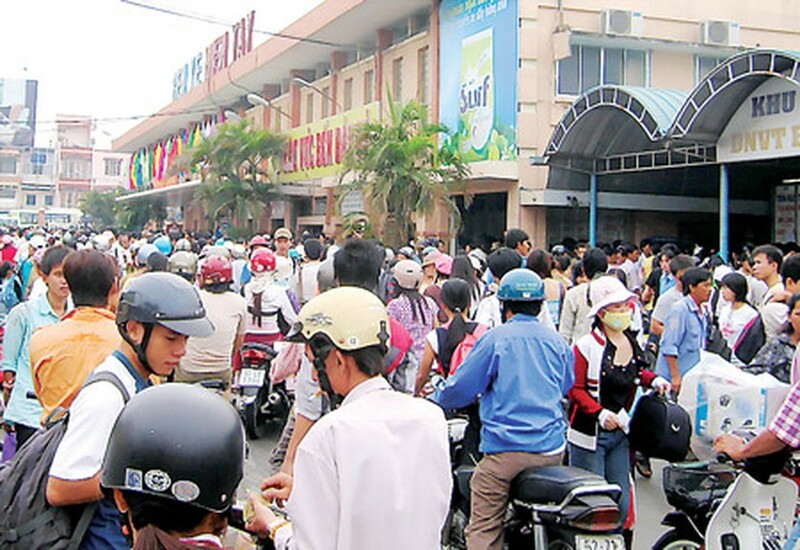 Transport companies said that they had sold out tickets to Da Lat, Phan Thiet at noon on April 29. It took a long time to buy ticket, so some passengers had to catch buses on streets such as Highway No.13, Inter-Asia and Hanoi Highways on April 30. Hundreds of people waited for buses on the streets, causing a traffic congestion over one hour on the National Highway 1A. According to Nguyen Ngoc Thuc, director of the Eastern Bus Station, on April 30 at noon hundreds of passengers could catch buses because the station provided more buses to meet passengers’ demand during the public holidays. There were over 50,000 passengers buying tickets at the station during two days, said Thuc. Meanwhile, routes to entertainment centers such as Suoi Tien, Dam Sen were much clogged. Although the city’s Public Passenger Transport Management and Operation Center increased numerous bus trips, mostly to entertainment parks in the city, the buses could not meet demand, cause passengers to jostle with others for the buses. Thousands of people waited for ticket at the Cat Lai ferry station and the ferry management board had to involve all the staff in selling tickets, aiming to reduce jams. In Hanoi, thousands of people queued up to visit late President Ho Chi Minh at the Ho Chi Minh Mausoleum. Traffic jams also occurred on many streets, gateways to Hanoi such as Phap Van – Thanh Tri intersection, Highway No.1. It took three or four hours to go from Hanoi to Phu Ly City, 60 kilometers from the capital city, by bus, said a driver. Although bus stations in Hanoi intensified more bus routes, it was difficult for passengers to buy tickets. Ticket counters said that they were run out of tickets. Dinh Thi Thu Thuy, head of the Hoi An Department of Commerce and Tourism on April 30 said the ancient city welcomed more than 3,000 foreign visitors on the occasion. According to the management board of Dai Nam entertainment park in southern province of Binh Duong welcomed more than 80,000 visitors on April 30, however, traffic jams occurred on Highway No.13 because numerous people flocked into the tourist site. Before the public holidays national weather forecasters said that the hottest days of the year would fall in the holidays hence tens of thousands of holiday makers flocked to beaches to avoid the hot, resulting in the overloaded in seaside areas.